Doctors have only recently begun to publicly recognize the medical benefits of cannabis. From treating debilitating diseases in humans to easing pain in pets, there are countless applications for this remarkable plant. But many people still don’t know what it really means to consume cannabis. Sure, you might be able to spot the difference between a joint and a bong, but there’s so much more to be aware of, like knowing the difference between a 100mg and 1,000mg edible. Yeah, we’re talking about that time in college you and your roommate ate the whole thing and found yourselves on planet Zargab (not a real planet). So let’s get meducated! (No, that’s not a typo and, yes, you can give us credit for the word). A lot of people choose smoking as their main way of consuming cannabis. The effects are pretty much immediate and the dosage is relatively easy to control. Depending on a strain’s THC & CBD content, effects from smoking cannabis can last anywhere from 30 minutes to 2-4 hours. In its flower form (as it’s most commonly found), cannabis can be smoked plenty of different ways. You can use a pipe, bong, blunt, bubbler, piece of fruit (apples are highly-recommended) or just about anything else with a spot to put your herb and a hole to smoke it through. Not sure where to start? You could just go with the classic joint; or the bit more fancy blunt. Granted, the better you filter the smoke, the better it is for your body. HINT: Smoked marijuana can cause throat and lung irritation, so have some water nearby and first inhale small and slowly! 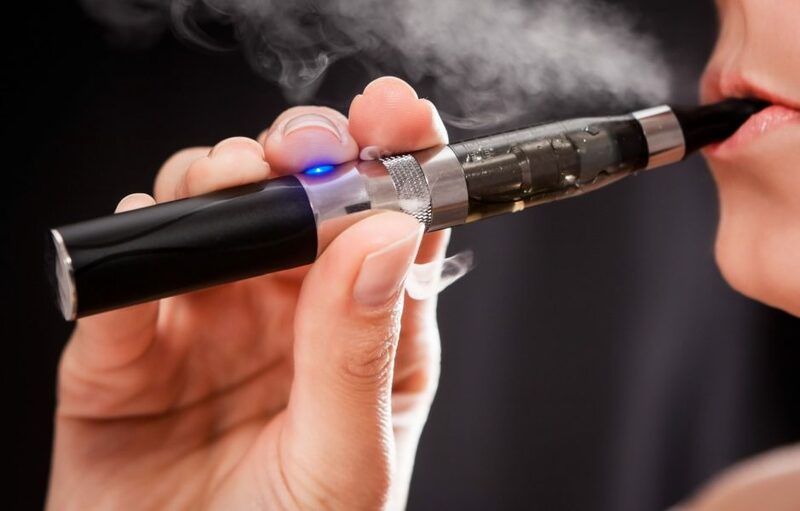 “Vaping” (the act of vaporizing) is arguably the future of cannabis consumption. It’s become popular with medicinal/recreational users and experts/doctors alike because it’s discreet and produces a smoother, tastier and healthier hit, free of the toxic chemicals and tar consumed when smoking cannabis. A vaporizer electronically heats up cannabis flowers and extracted oils to a low enough temperature that’ll release their beneficial compounds without the potentially harmful combustion. They come in many shapes and sizes, but almost all require a power source (either battery or wall plug) to use. This process causes cannabis’ active ingredients, mainly CBD and THC, to be “cooked” off and turned into vapor which is then inhaled. Depending on CBD & THC content in the oil you’re consuming, effects from vaping may take 5-10 minutes to hit and can last up to 4 hours. HINT: There are tons of companies that offer vaporizer products, so the best place to start is with a simple online search, but watch out for fake reviews! For may, cannabis and tobacco are all the same—dangerous. The fact is, smoking just comes with a negative stigma (we’re trying to change that), which is why some cannabis users purposely avoid smoking and the stigma associated with it by turning to edibles—THC infused foods and beverages. Caution is extremely advised for the first time edible consumer. Remember factors such as body weight, height, fat, and external stimuli, like how recently you’ve eaten or how active you’ve been, can affect your reaction to an edible. Most will take 45min-1 hour to take effect but can sometimes take as long as 3 hours, so don’t make the mistake of thinking your first dose was a dud then scarf down brownie number two. You’ll regret it! Depending on its THC & CBD content, an edible’s effects can last anywhere from 3-8 hours. Because marijuana is very fat soluble, it can easily be infused into either oil or butter for baking. Types of edibles include (but are not limited to) brownies, cookies, gummy bears, lollipops, chocolate bars, pizza, ice cream, honey, and even the occasional birthday cake. Craving a sweet treat? Find any and all delicious cannabis-infused treats on California’s top online MMJ marketplace, Nugg! And just between us, we’re notorious for throwing in free snacks of our own (just not cannabis-infused)! HINT: if taking an edible for the first time, be in a comfortable environment under the supervision of a friend and start with just one small dose. Cannabis concentrates produce the strongest form of medicating. Effects are immediate, and last 1-4 hours depending on relative THC vs CBD content. Many individuals in the medical cannabis community prefer concentrates such as oils, shatter, and wax for their intense pain-relieving and anti-inflammatory effects. How does it work? Dabbing requires a water bong with an attachment known as a “dab nail,” typically made from quartz or titanium. You heat the dab nail with a torch to ~900°F, then “dab” your concentrate onto the hot nail while simultaneously inhaling the resulting vapor through a pipe or bong. HINT: Just like an edible, try and be with someone experienced if dabbing for the first time, and start small. Tinctures are liquid cannabis concentrates made by extracting cannabinoids from the cannabis plant using high-proof grain alcohol. Peak effects are felt within 20 minutes and are steady and rather mellow. These THC tinctures can be administered simply by putting a few drops from the bottle’s droopper under the tongue (we recommend 1-2 drops for first time users), allowing for easy dosage control. Effects are almost immediate and peak effects be felt within 20 minutes and last 1-3 hours. HINT: Anyone medicating with cannabis should do so in a safe environment, and is strongly advised not to drive, operate machinery or participate in dangerous activities. In a follow-up post, we’ll talk about some things to know when it comes to knowing how much cannabis to consume. If there’s one thing you HAD to know about cannabis, what would it be? Leave a comment! That’s neat that dabbing gives yo the highest concentration of cannabis so that you have strong results. I’ve never tried it, but some pals of mine were telling me about it. One even told me he’d buy me a rig for my birthday.